As a child, and throughout my adolescence, I spent my days intermingled between living in the city with my mother, and the country with my father. School and work days were spent in the city of Kingston, and I spent my free summer days exploring Whitefish lake, the surrounding extensions of the renowned and breathtaking Rideau Canal, and camping all over the forested floors of Eastern Ontario. Eventually, city life dominated as work and school took over. Temporarily losing focus on the natural world, I became immersed in my passion for food. I attended two years of culinary management and received a culinary business diploma, graduating with honors at 18 years old – the youngest in my class. Spending a further 7 years in the culinary world, I worked a variety of positions in places anywhere from the Fairmont Jasper Park Lodge in Jasper, Alberta to working with a raw vegan foods company in Vista Encinitas, Southern California. Once I came back to Kingston, I spent a few months each winter traveling, and my fall, spring, and summer were spent managing a privately-owned cake business. Over time, I grew to miss fresh air and sunlight in my day-to-day life and I realized the true physical and mental stability that can be brought forth by nature. I enrolled in the outdoor adventure program, and am now in my graduating semester. My time in this program helped me to developed a vast range of skills and adventures, anywhere from a 9-day sea kayaking trip to a 5-day, self-supported cycling tour. My next challenge is as the Assistant Trip Leader of a 7-day backpacking trip through the highlands of Scotland. 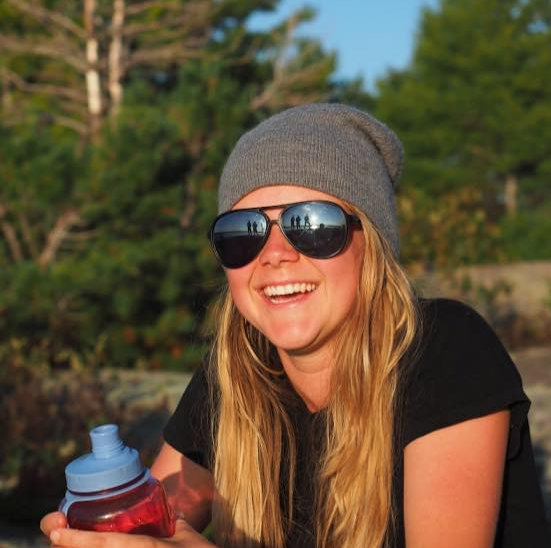 I spent my last summer working at Bear Creek outdoor center for the Active Challenge program (a self-esteem camp for girls aged 12-20), and co-leading two whitewater canoe trips down the Madawaska River. Though I met an abundance of amazing and unique people in the culinary world, I am now looking to combine that skill and passion with my newly rediscovered passion. My curiosity and love for exploring the outdoors has grown exponentially, and I look forward to growing and learning through my employment with Canoe North, so that I can one day use my combined arsenal of skills to create an unforgettable experience for the people around me.